Trevor, who was known as the “world’s loneliest duck”, has passed away after being ripped apart by dogs on the remote Pacific Island nation of Niue. Trevor became an international celebrity after a journalist from New Zealand visited Niue and discovered the mallard and his makeshift home by a large puddle. The death was verified in a Facebook post for Trevor. 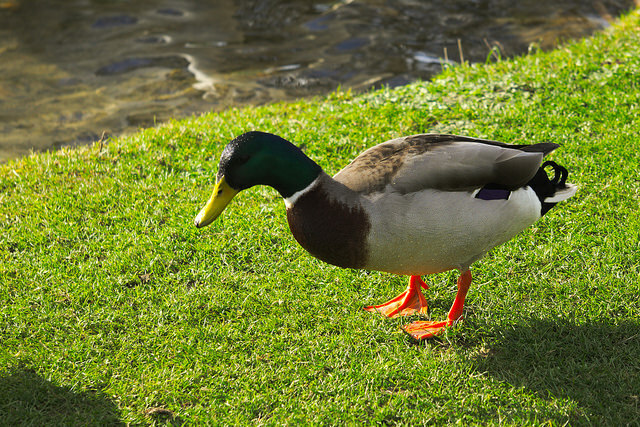 It reported the mallard was seen in the bushes dead after dogs mauled him. Rae Findlay, the chief executive of Niue Chamber of Commerce, told the press it was a sad time for Niue. Trevor arrived at the island in Jan. 2018 after a massive storm, and it remains a mystery how he reached the island. It was thought he was blown there by the wind or flew, possibly from New Zealand. She continued, the duck was named after the speaker of New Zealand’s House of Representatives, Trevor Mallard. Findlay added Niue does not have lakes, streams or rivers, and the duck’s home was a large puddle. He was cared for by the community, and the local fire department would fill up Trevor’s puddle should the water level’s get too low. The duck would fly to the island’s occupants who would feed him oats, corn, and peas. There was a discussion to bring in another duck as a mate, but his puddle was not big enough. Trevor wasn’t lonely. He made friends with a weka bird, chicken, and rooster who lived near the puddle. Trevor Mallard wrote a post offering condolences on the duck’s Facebook Page. He said the Parliament of New Zealand offers the residents of Niue their deepest sympathy. Trevor will be missed.